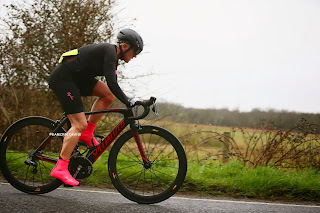 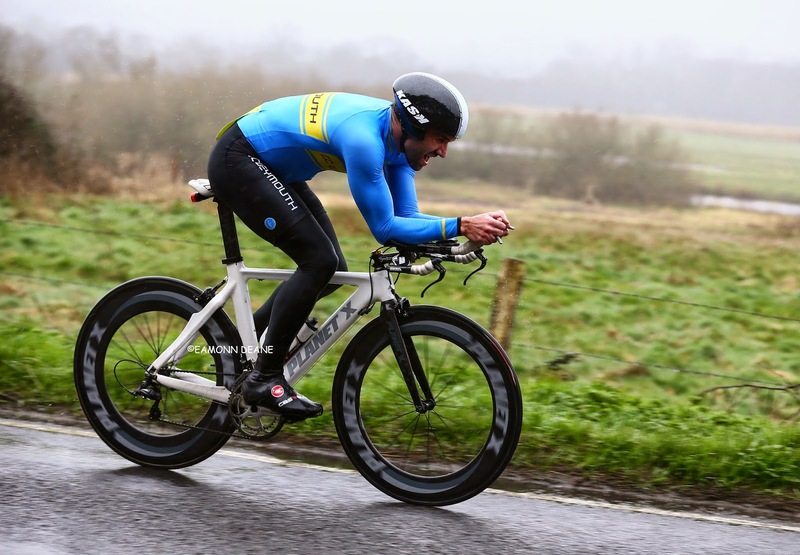 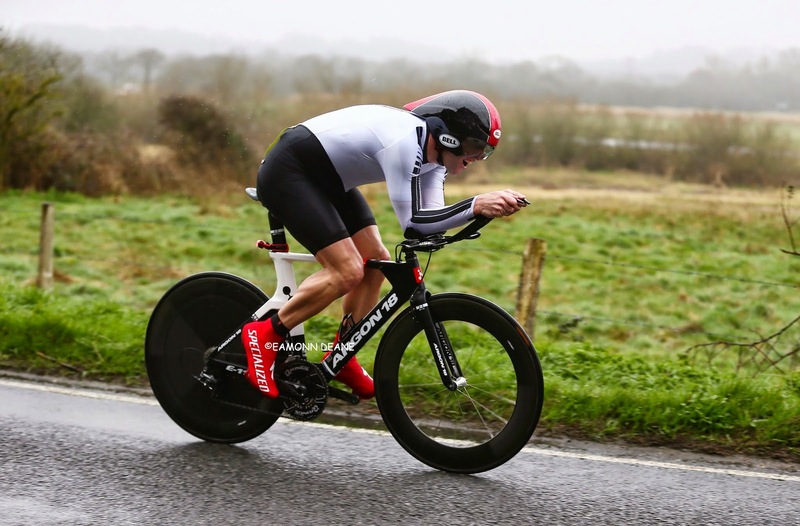 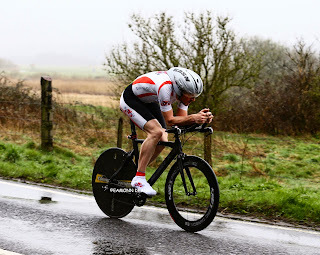 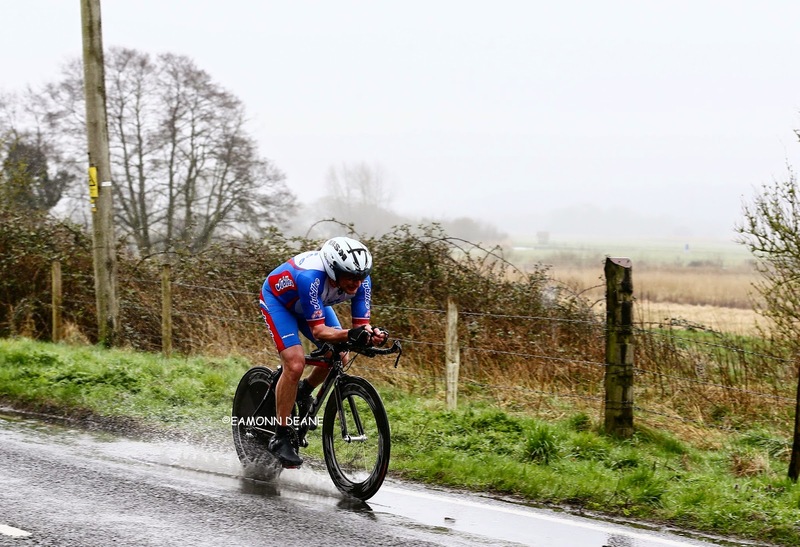 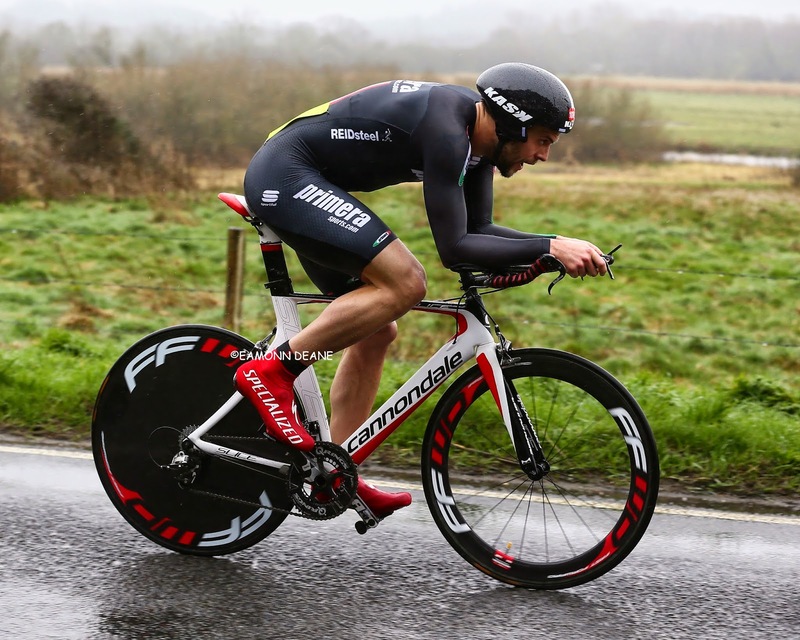 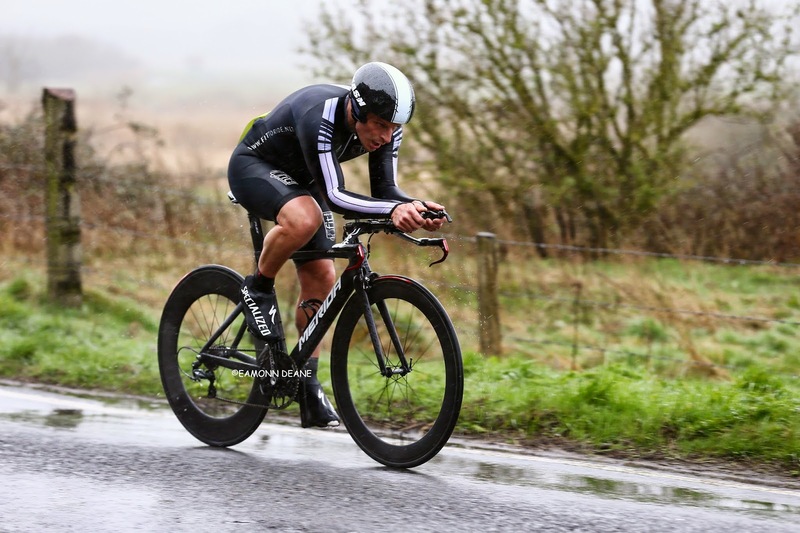 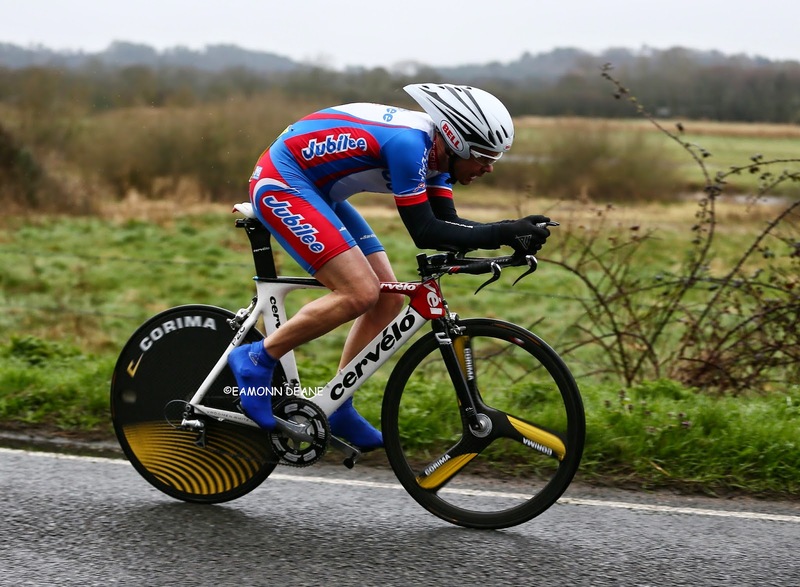 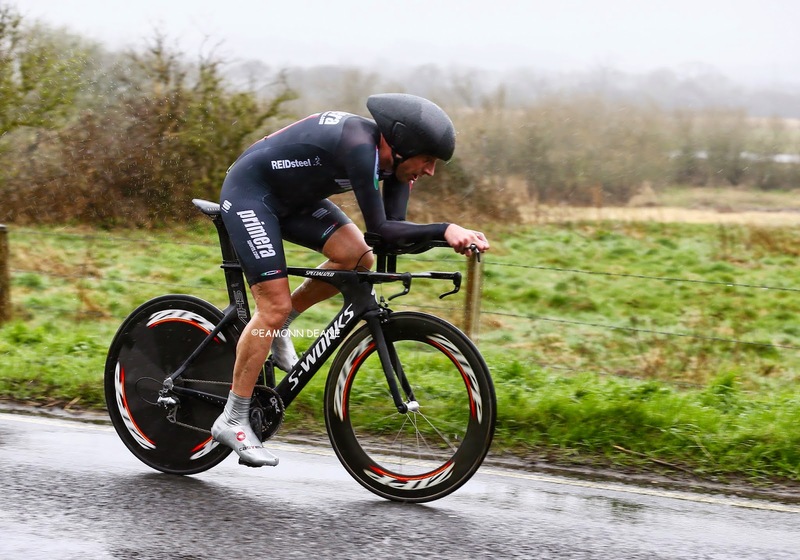 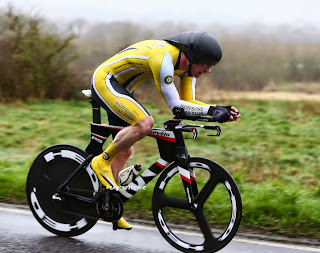 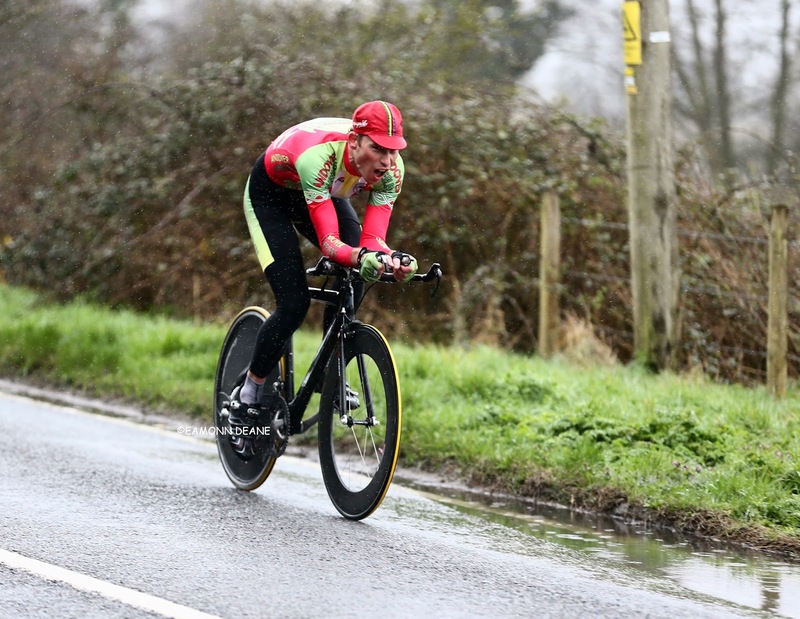 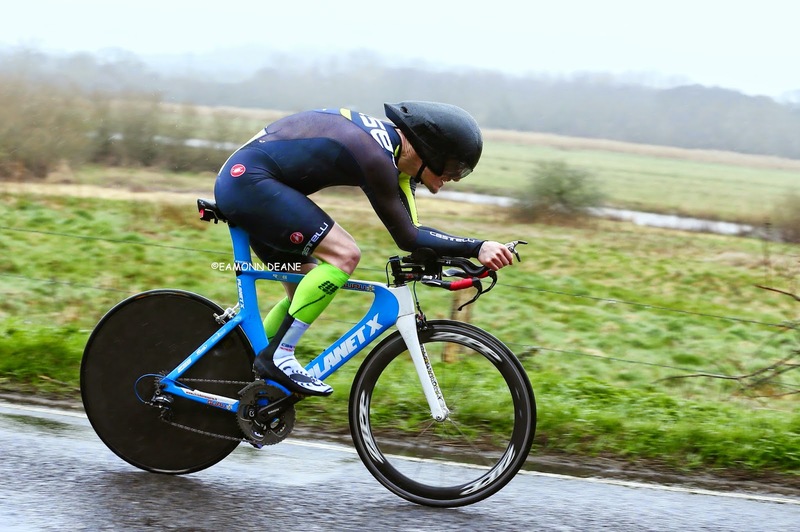 Matt Burden (Severn RC) won the Bournemouth Arrow 10 on the P311 Ringwood-Sopley course across the Hampshire-Dorset border. 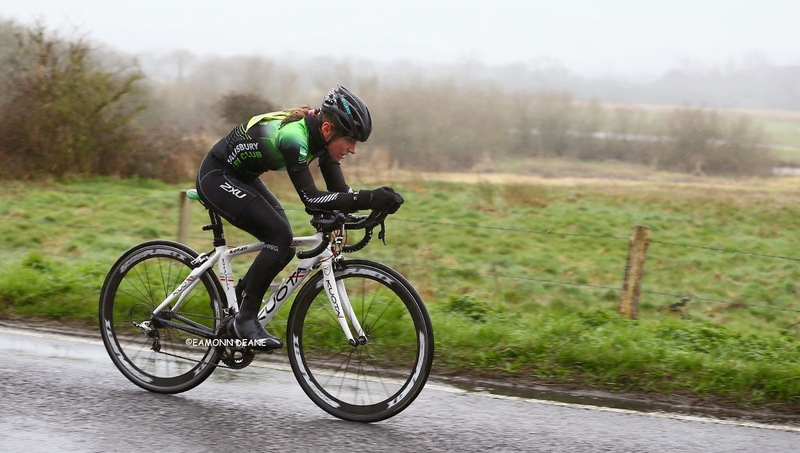 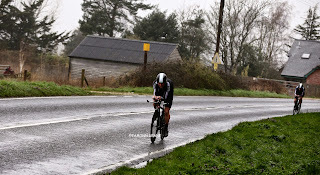 Burden clocked 21.55, the only sub-22 minute ride, on a wet and murky Good Friday morning. 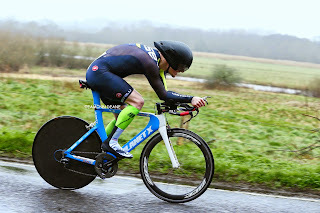 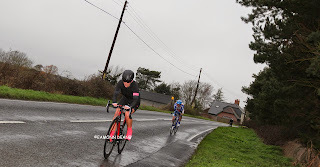 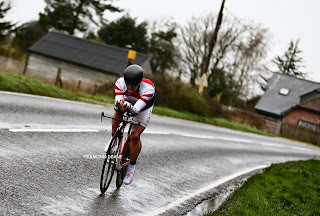 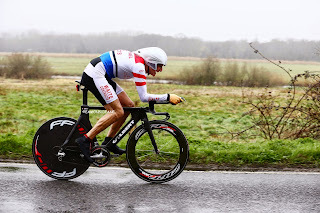 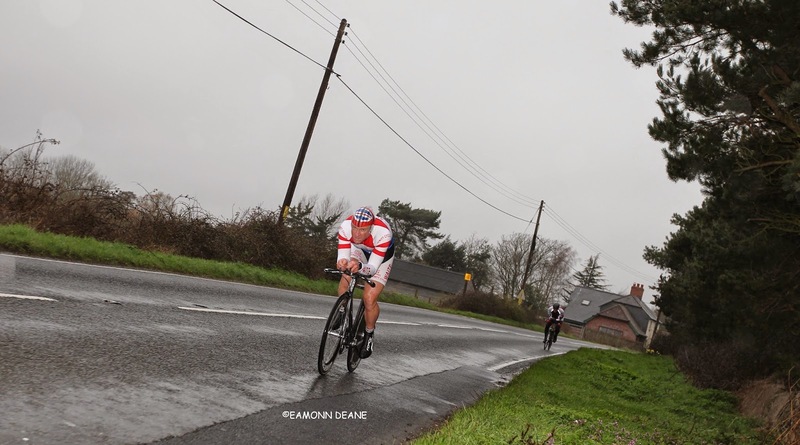 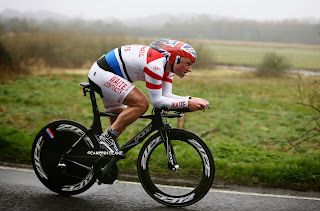 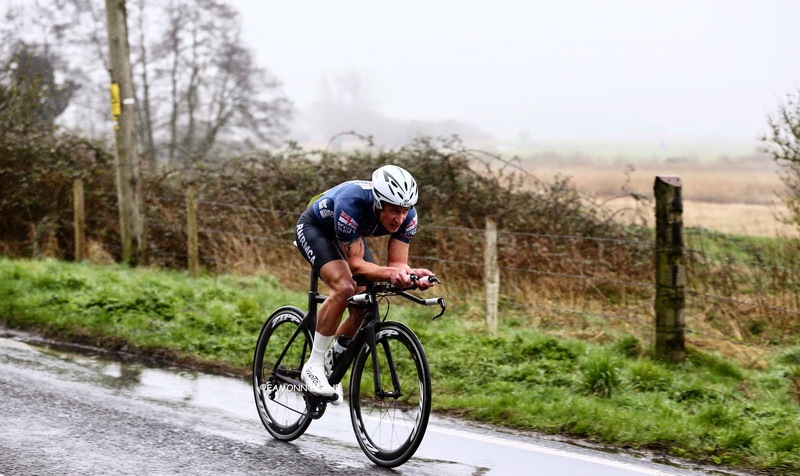 The smart money was on in-form Gregg Parker (VC ST Raphael/Waites Contracts), Parker averaged over 30mph to the turn at the Woolpack Inn but a front wheel puncture soon after took him out of contention allowing Burden to pocket the £50 first prize. “I was on for a short 21” be-moaned Parker back at the HQ. Paul Jones (Primera-Sports.com) grabbed second place his 22:07 just one second ahead of teammate James Horton. 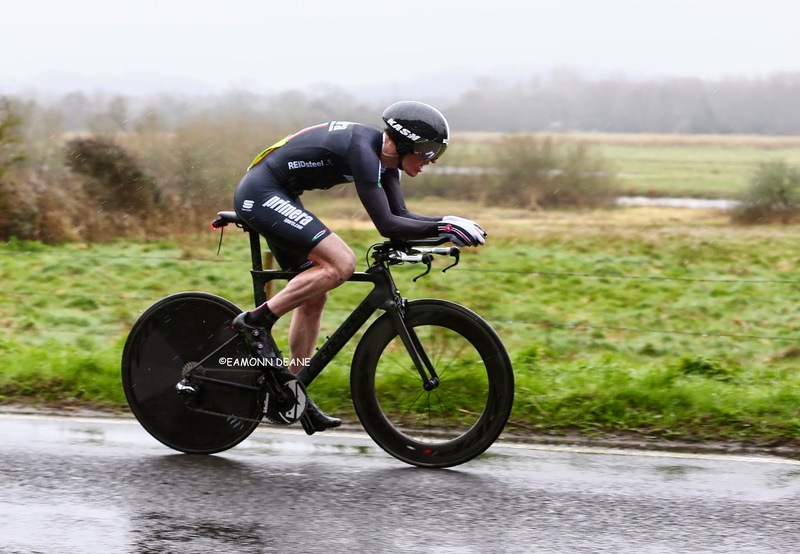 Jones was knocked off his bike last autumn and has spent all winter on the turbo, clearly working hard. 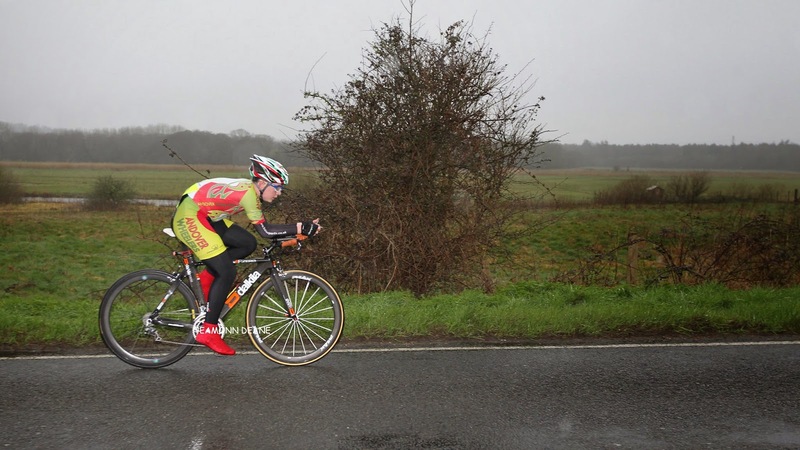 Triathlete Ben Keightley backed up Jones & Horton to give the Primera boys the team award. 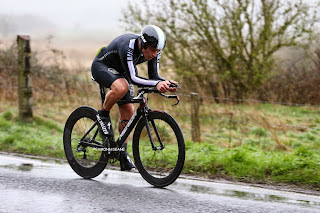 Despite the wet conditions organiser Peter Fairbank was very happy, a super field of 98 was more than double that of last year.